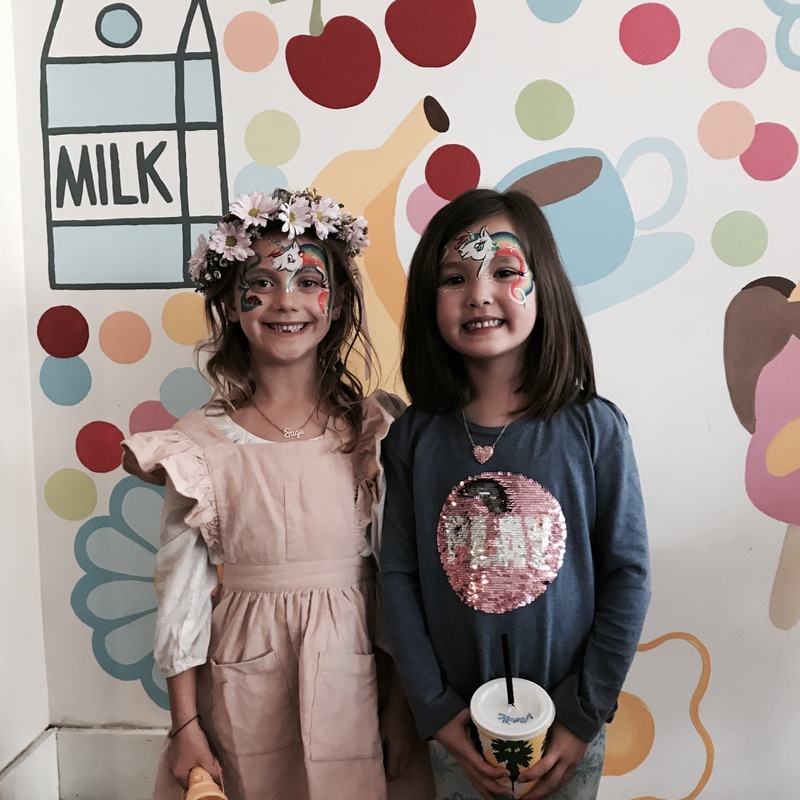 Cupcakes, milkshakes, face painting and cake were the highlights of Sage’s 6th birthday party. 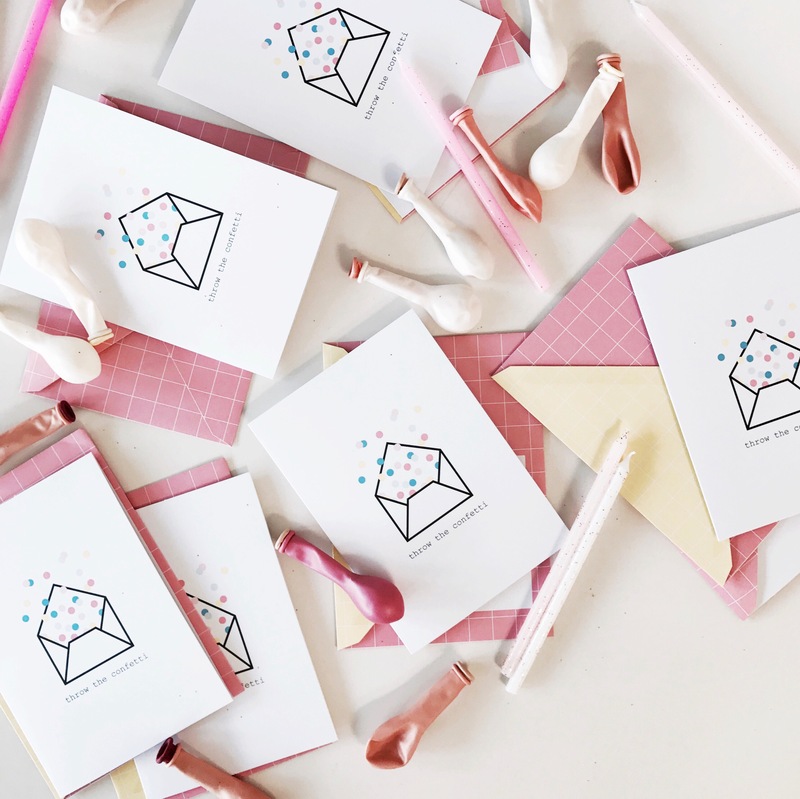 I found some pretty confetti cards at Kikki K with matching pastel envelopes and printed the party details inside, filled with confetti of course. 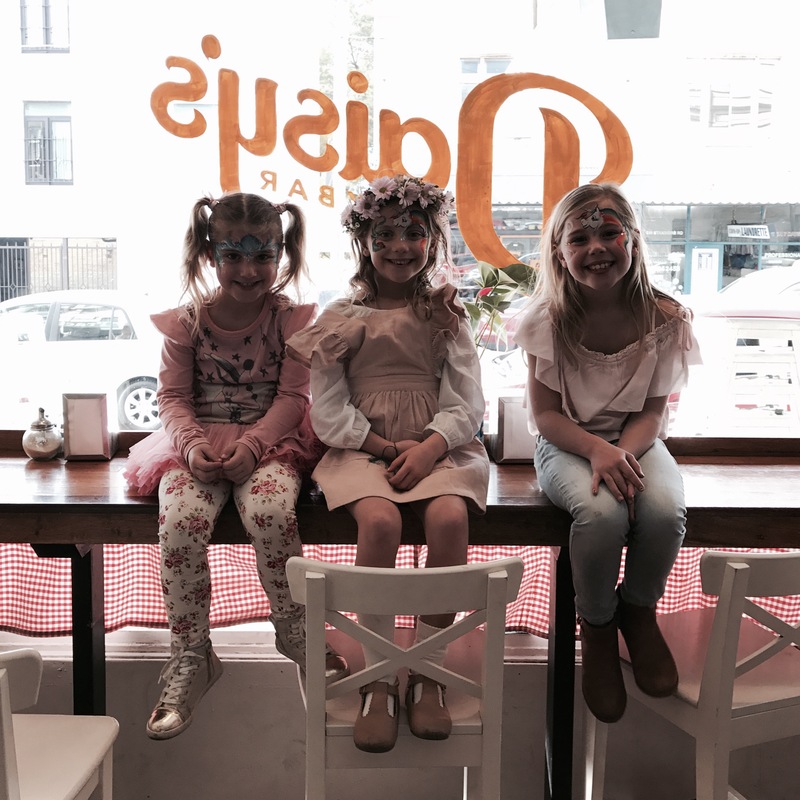 Sage and I are regular milkshake goers at Daisys Milkbar (after ballet) and thought the old school Aussie milk bar vibe would be the perfect party venue for a few friends and family. Lots of colourful walls, giant ice creams, neon lights and sweets (think lollypop rings, zappos, redskins, ovaltinis)!! 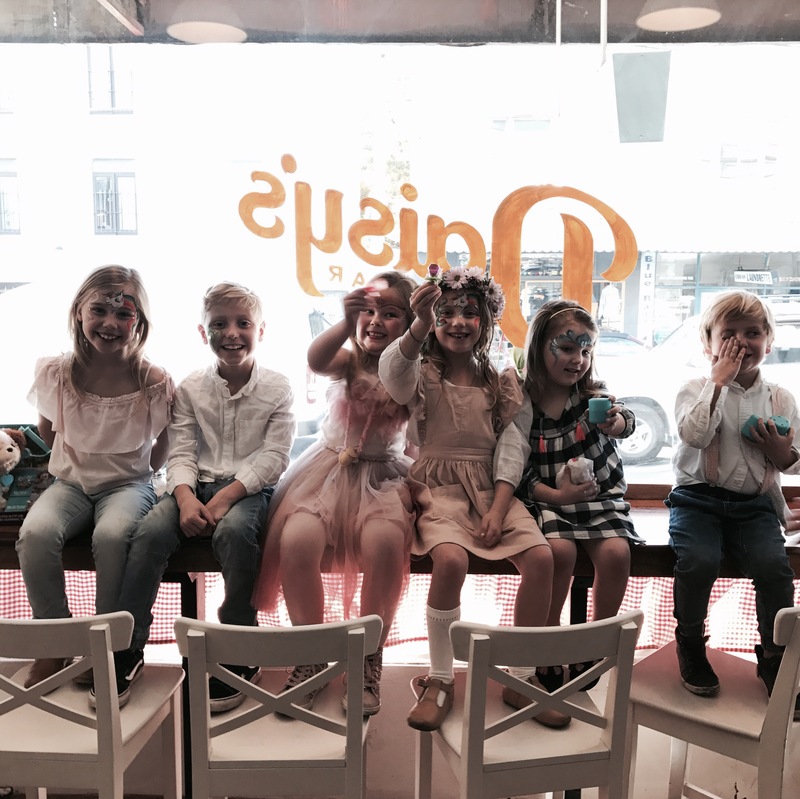 I booked the sweet pastel booth seats at the rear of the cafe and the kids played pass the parcel whilst sipping milkshakes. All the excitement when the face painter arrived and the parents enjoyed tea, coffee or champas whilst the kids were being entertained. 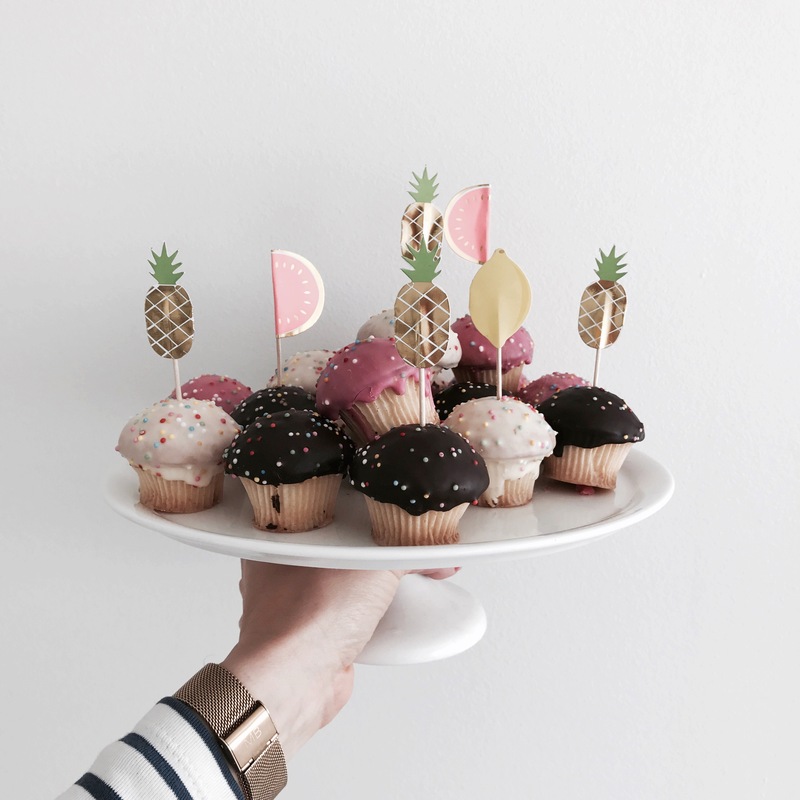 We ordered fairy bread, ham & cheese jaffles and I made a cheese and fruit plate and bought some Woolies cupcakes plus a few bottles of champas. We had the place to ourselves for the last hour to wander, take some pics and sing happy birthday. 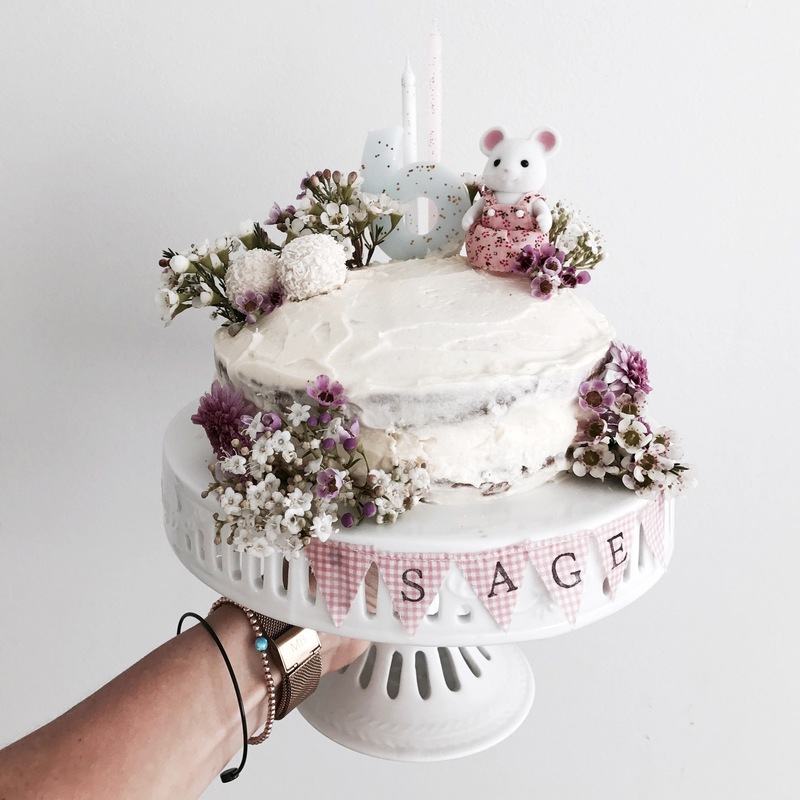 My mum made Sage a sweet vanilla cake and we decorated with flowers, candles and a little mouse…was really cute!! Sage’s outfit was my highlight! 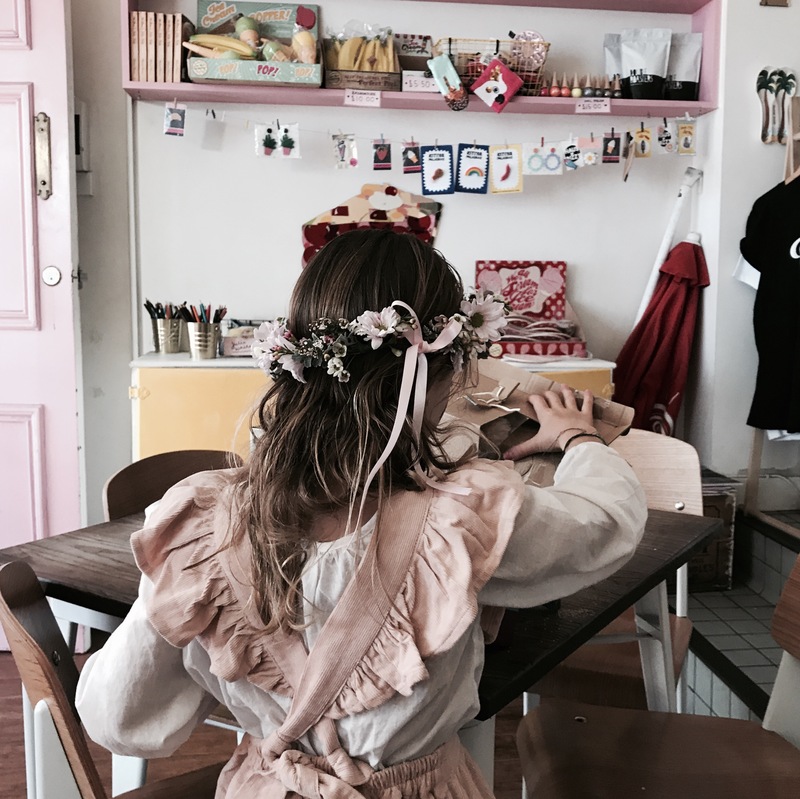 Those who know me know I love to style an outfit! 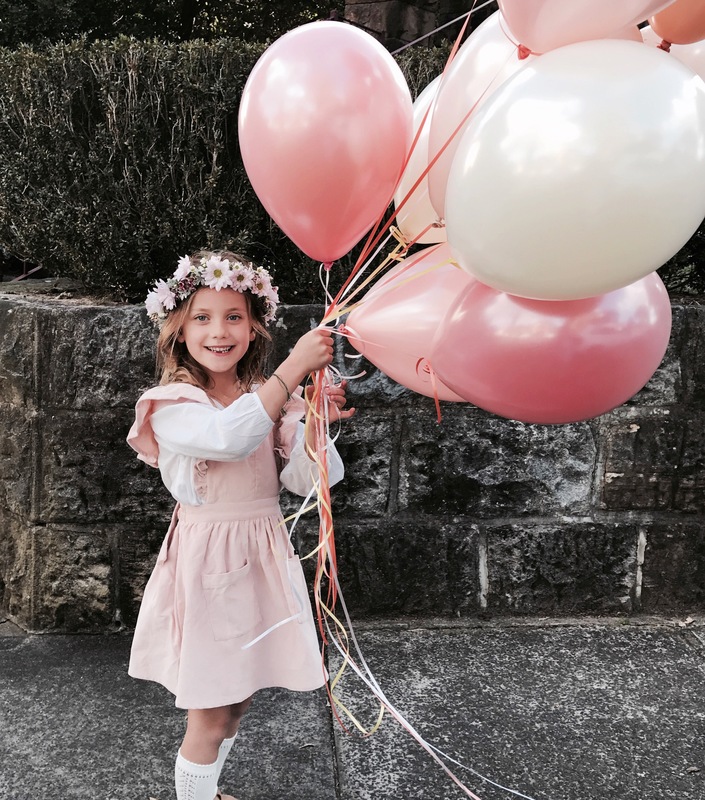 Her gorgeous dusty pink cord dress, blouse and Mary Jane shoes are from Hubble and Duke, socks from Mabel’s Garb and beautiful flower crown from Rosie girl florals. 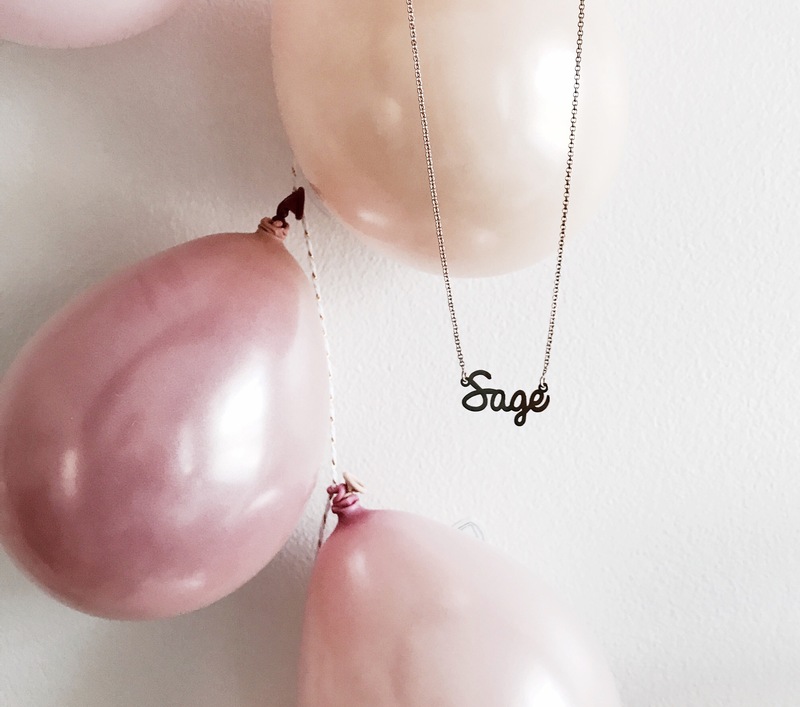 A special bday present was her My Name Necklace in rose gold. 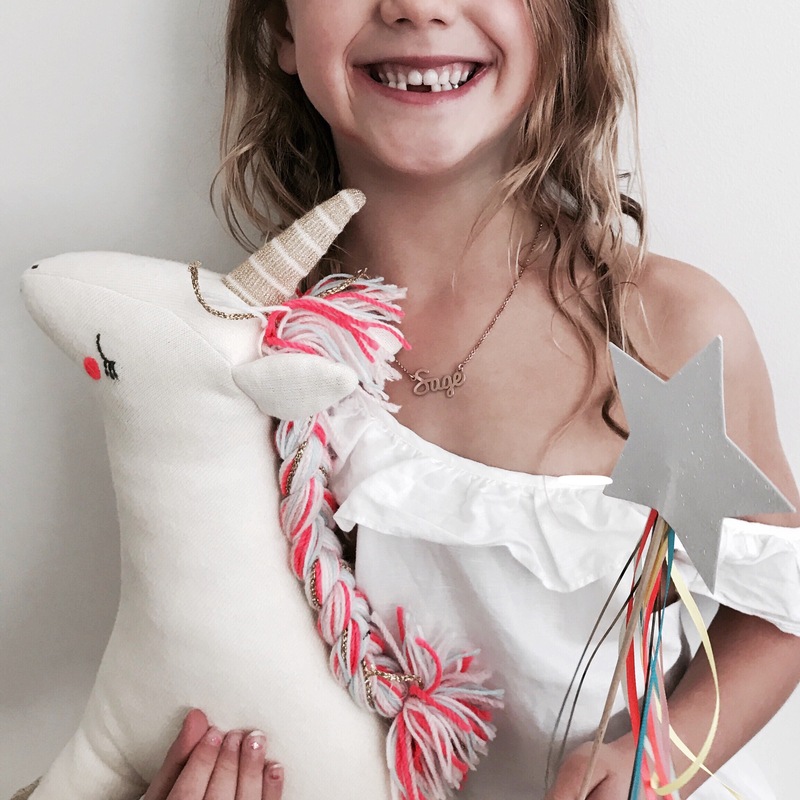 This is a lovely bday or special occasion pressie (my Niece requested one for her bday)! All their Jewlery is made from sterling silver, gold plating or solid gold and offer free worldwide delivery. For 15% off use code ‘Brie15’. 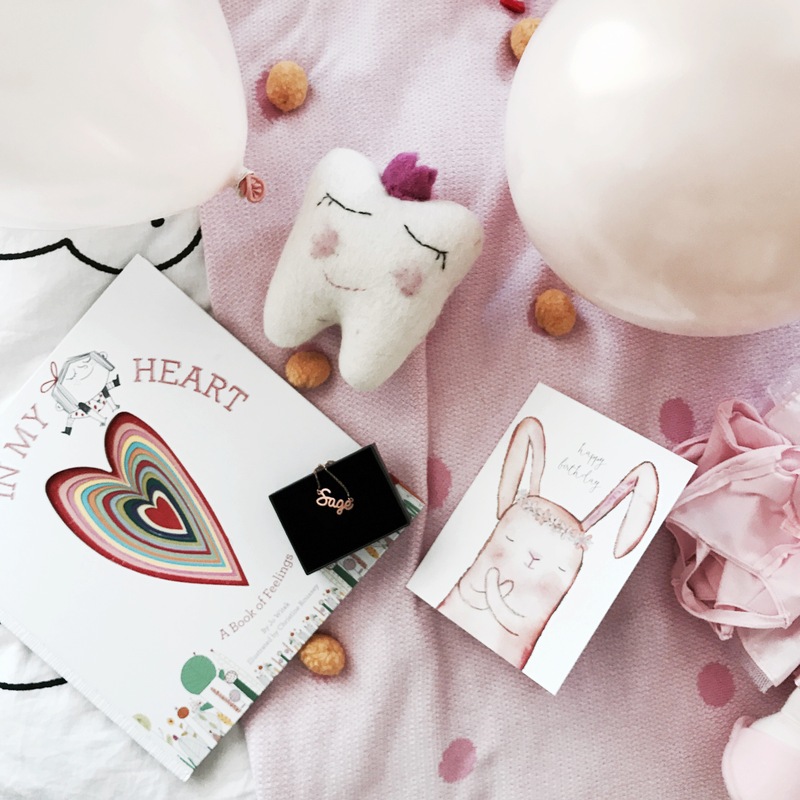 Sweet for the little ladies!! Shop this necklace here! 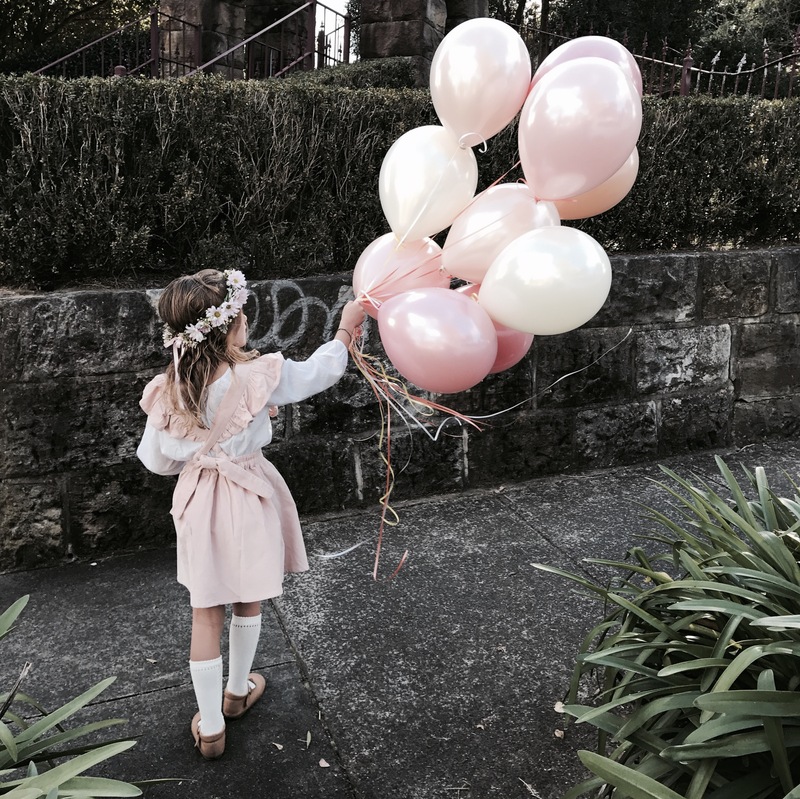 And a big shoutout to Hello Little Birdie for the amazing Luft balloons! 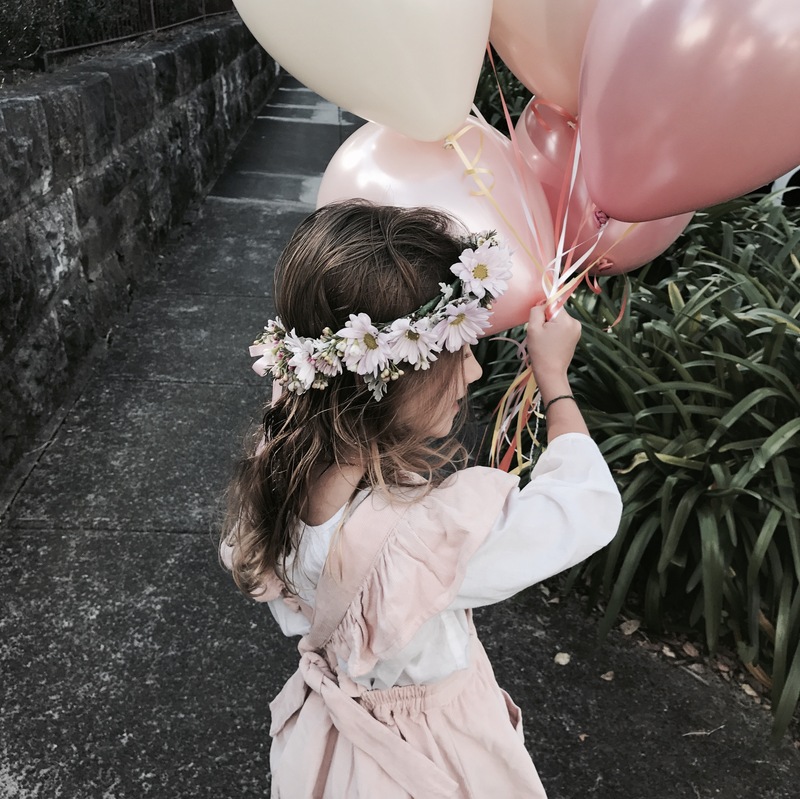 The softest, pearliest, pretties balloons I have seen! !